You must contact us directly via our email: contact@managuahostel.com in order to cancel your reservation. Please note that we have a 1 day cancellation policy, in other words we need to have received your cancellation before 12 noon the day before your arrival. Cancellations received within the 1 day period before your arrival will be charged as a no-show, which means the cost of the first night will be charged and any remaining nights will be cancelled. Reservations will be held for 2 hours after the expected arrival time that was provided to us. Air conditioning is run during night time hours only (9pm-9am). Quiet hours begin at 11pm. There is no curfew or lock-out. Only checked in guests will be allowed within the hostel. Visitors are not permitted within the hostel. All rooms and indoor areas are non-smoking. At MBI, we have 10+ years of experience hosting backpackers, budget travelers and groups of all ages and from all over the world. Our vision is to offer a friendly hostel in Managua that provides the facilities and services to support the modern traveler. Each of our comfy dormitory beds offers a personal shelf and power connection so that you can keep all your gadgets charged and ready to go. 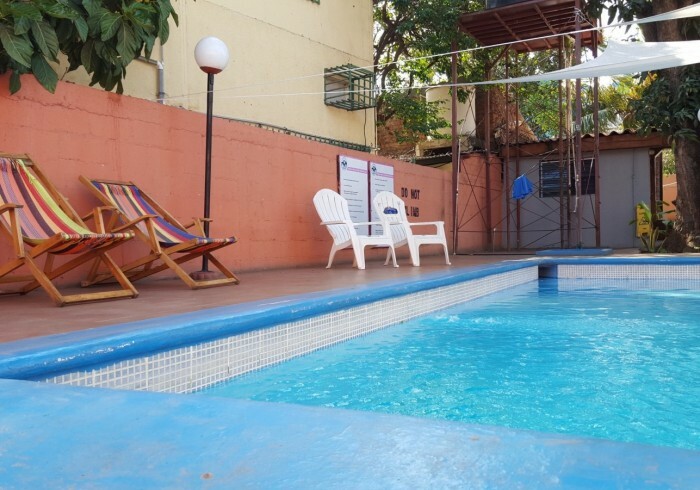 Our property is located in the heart of the new modern downtown Managua close to many of the main attractions and approximately 30 minutes from the Managua International Airport. We offer a variety of room types including private rooms and dormitories to suit any budget. We offer FREE Super Fast Fiber Optic Internet (via WiFi) and shared computers so that you can share amazing photos and stories with family, friends or work colleagues, wherever they may be! Our location couldn't be any better...We are just a short walk, bus or taxi ride from all major national sights, markets and major transportation terminals with connections to Leon, Granada and San Juan del Sur.